Pictured are: Rob and Melissa Baruth, Lisa and Corey Baruth with son Henry, Roger Baruth; front row: Jaycee, McKenzie, Addyson and Samuel Baruth. 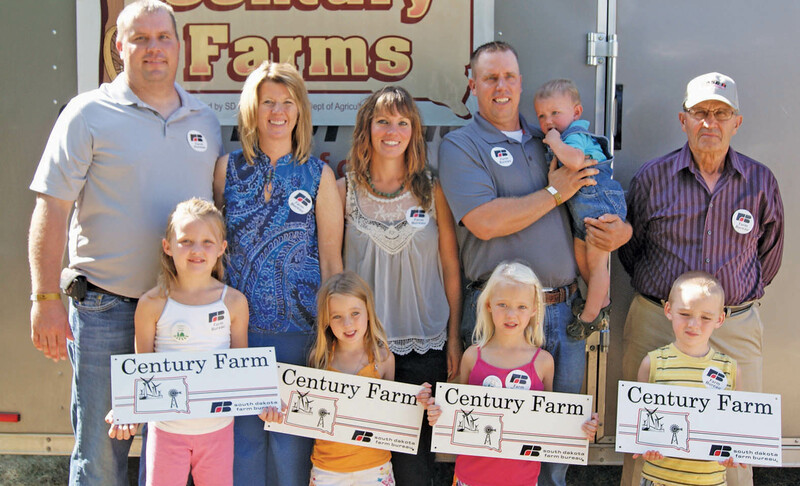 The Baruth Family of Alpena was one of the recipient’s of the Century Farms award at the South Dakota State Fair on Aug. 29. The award is sponsored by the South Dakota Farm Bureau and the South Dakota Department of Agriculture. Their current farm was homesteaded in 1893 by their great-great-grandparents and has been passed down five generations to the current owners, Roger, Corey and Rob Baruth (Baruth Farms). Corey and Rob are the fifth generation working and living on the farm. His brother, Rob, adds, “Farming is more than a business. It is a way of life to our families.” We are excited for the future of our family farm. Corey and I both have kids that love the farm and we are looking forward to raising them on the farm and passing it along to them when they are ready. The families now on the farm are: Roger and (the late Tena) Baruth, Corey and Lisa Baruth and their son, Henry, and Rob and Melissa Baruth and their children, Jaycee, McKenzie, Addyson and Samuel. PIERRE – Months of persistent drought in 2012, a cold, wet spring in 2013 and a reduction in habitat have impacted pheasant brood counts, according to a report by the South Dakota Game, Fish and Parks Department. But officials note that South Dakota will still offer the best pheasant hunting experience in the country, with more than 1.1 million acres of public land available for pursuing birds within the state’s main pheasant range. The Department’s annual brood count surveys the number of pheasants per mile as a means to track pheasant numbers over time. The actual population size is estimated after the pheasant hunting season ends, with additional information gathered from hunter surveys and a winter rooster-to-hen ratio survey. “Much of the northern Great Plains experienced the same weather and habitat factors that impacted our brood counts,” Runia said. The 2013 pheasant season opens Oct. 19 and runs through Jan. 5, 2014. The Youth Pheasant season will run from Oct. 5–9 and the Resident Only season Oct. 12-14. The 2013 Pheasant Brood Survey Report, complete with comparisons for different local areas, can be accessed at http://gfp.sd.gov/hunting/small-game/pheasant-outlook.aspx. 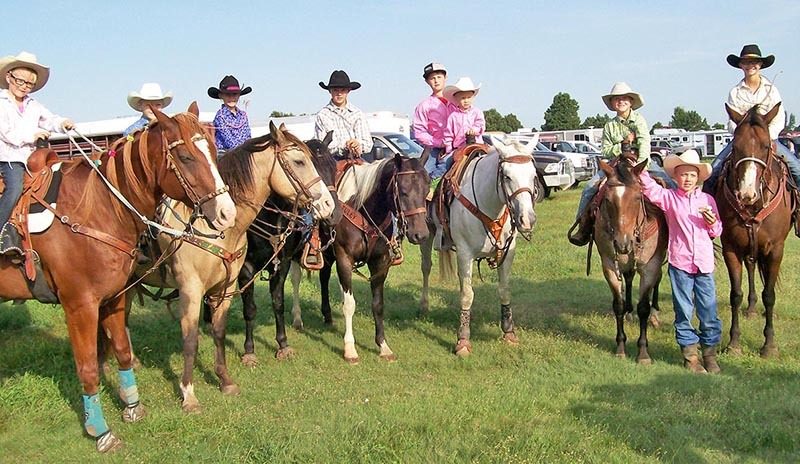 Burke held their Junior Rodeo on Aug. 24. Nine cowboys and cowgirls from Sanborn Central participated in the day’s events: Aubry Kropp, Trey, Teya and Tater Moody, Cayden and Tryce Slykhuis, Cort Stevens and Mason and Madi Moody. Mason Moody won the All-Around for his age and Madi was Reserve All-Around in her age division.